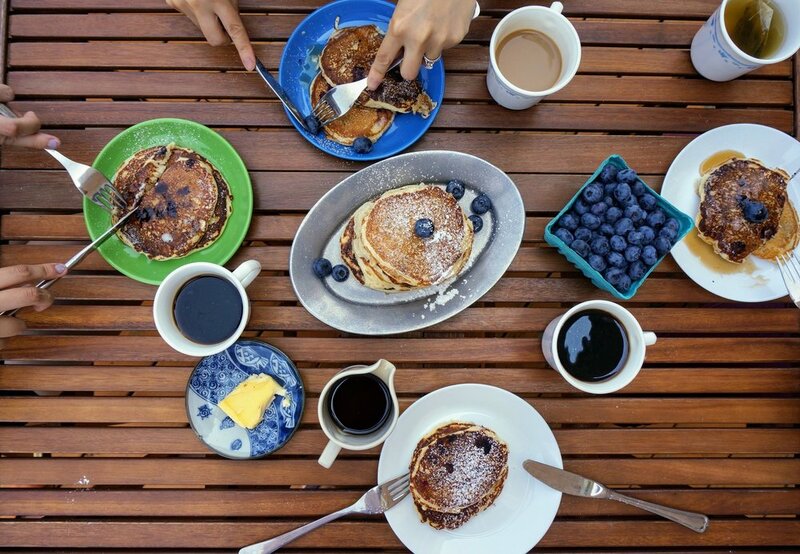 When it comes to summer, I have a list of to-do's: hiking, go for a picnic, sunbathe at the beach, have a backyard barbecue, head up to Muskoka for the cottage and pick fruit and cook something up! Happy to report that I accomplished most of this list. I haven't been to the beach yet, but nonetheless, I'm very happy with my summer. 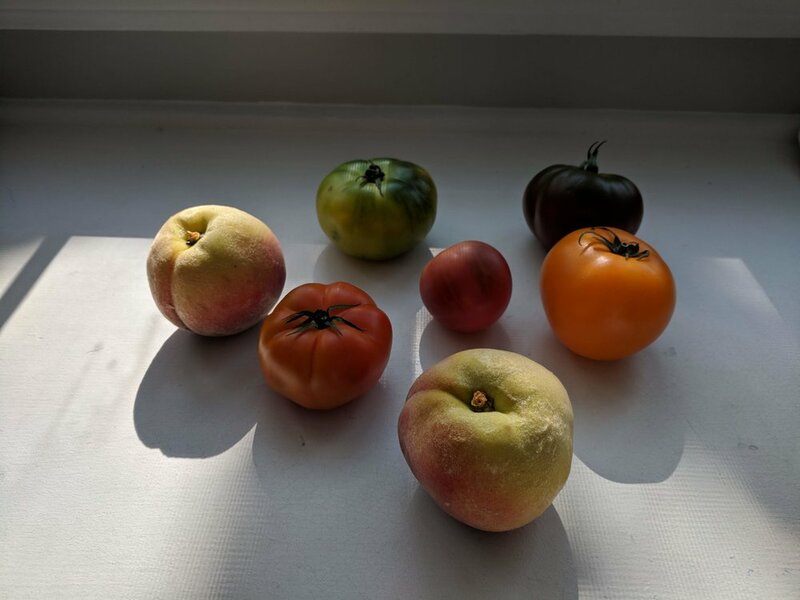 For the picking fruit part, last year, we picked blueberries, and this year we picked peaches in Niagara! There was an ongoing discussion on what we would make with peaches. 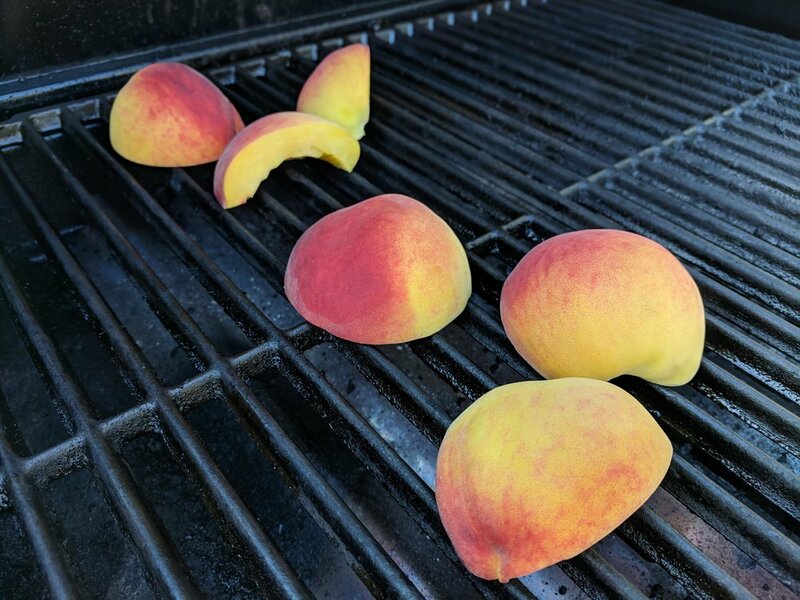 I was all for the peach galette because I love baking, however Ken was inspired by Antoni's grilled peach salad from Queer Eye. 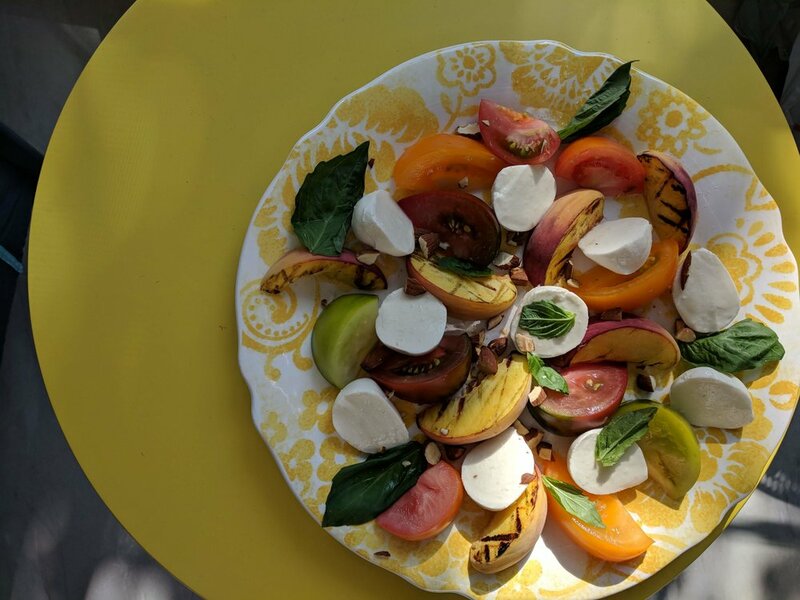 We searched for his "recipe" online, but to no avail so we ended up with A Couple Cooks' Peach, Heirloom Tomato, and Burrata Salad. We replaced burrata with bocconcini. 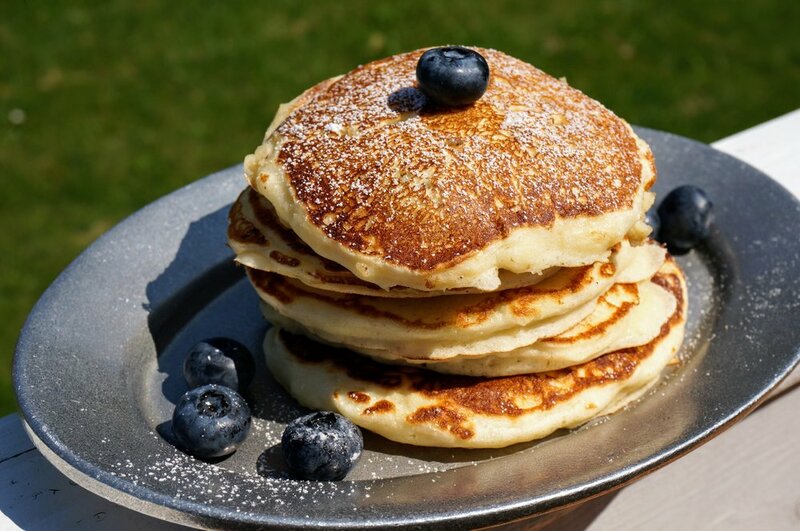 It was the quickest food we ever made. 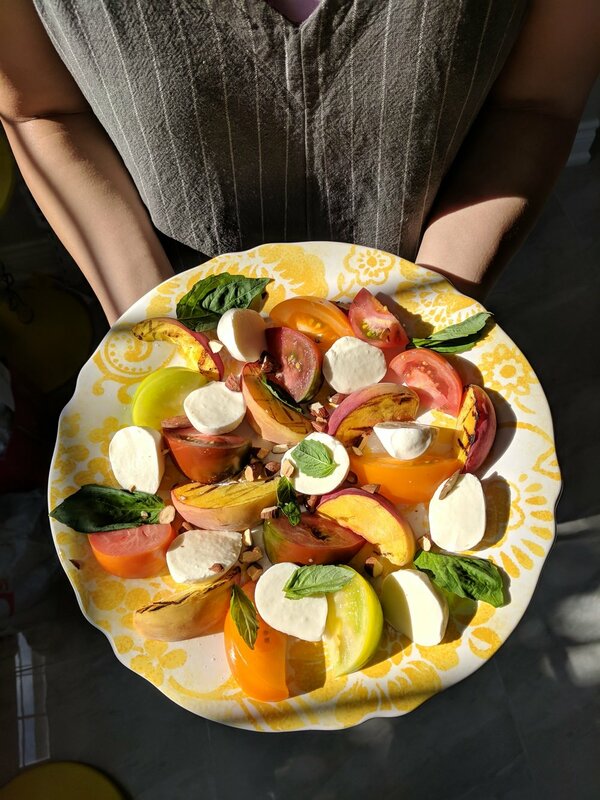 There was lots of cutting involved, but when the chopped peaches were plated with basil and bocconcini, it was such a pretty dish, and more importantly, delicious. All in all, we're going to give ourselves a pat on the back for picking fruit in the sweltering heat, rewarding ourselves for the hard work with ice cream at Avondale and ending the day off with a salad with what was harvested!